You will never forget the taste of the Best Delhi-style Butter Chicken you ever tasted. Every time someone talks about a place that serves the best butter chicken, your memory teases you. That creamy, melt in the mouth red gravy, that stick of butter slowly melting, sinking into the chicken as you serve a piece, that juicy chicken and that perfect marriage of tangy tomatoes and sweetness of cashews. It all comes like a head rush and Yummmm.. my mouth begins to water even thinking about it! A friend told me about Tawa Street, a tiny shop on the other side of town that claims to serve Delhi-style, best butter chicken in Pune. “That is a risky claim”, I thought, Delhi people are very sentimental about their butter chicken. If you don’t get it right, they will rip you apart on social media, and every other media available to them. I made quite a journey to test the claim, 20 kilometers to be exact, and on a weekend evening Pune traffic is rude, rough and unforgiving. I felt like I deserved an award for driving across town at that hour. It better be worth the trip or I will be the first one to rip that claim! True to the name, Tawa Street, in fact, was almost on the street. People eat on the pavement right next to a busy road. But it’s a risk you got to take for a promise of good food, because many times such small shops surprise you with the yummiest food. This minuscule restaurant was brightly lit, as bright as Delhi people can be. The owners were very warm and welcoming, like most Delhi people are. But the big question was, is their Butter Chicken like Delhi Butter Chicken as well? The menu is fairly tiny and includes simple Punjabi food from rajma rice, chhole to Shahi paneer and keema pav. Although, keema is not really Punjabi food, they served chicken keema which was surprisingly juicy and succulent to be chicken! I loved the keema masala and really enjoyed the taste, until I found it was chicken keema, and then I was really blown away! I’ve worked in Luxury hotel kitchens, Chicken keema easily dries out while cooking and it is really tough to keep it juicy. The guys in the kitchen must have some skill to do that. I had already gorged on the chicken keema pav and tandoori chicken, which was not on the menu, before the butter chicken was even served. TheTandoori Chicken was delicious and the masala had reached to the bone, the quality of chicken was outstanding, very gawran (aka desi) chicken flavor. If you want to try this, you need to request them on the side. If they aren’t too busy, they might oblige. In the end came Tawa Street butter chicken. I wasn’t that hungry to bother about it. Butter chicken is available everywhere, I know what it is supposed to taste like. I can have it anytime, anywhere. Or can I? *Takes a bite, pauses a second, widens eyes and wildly digs in for the next bite*. Not this butter chicken. Not this gravy. No one can create this awesome Delhi-style, amazeballs Butter Chicken. No one I know in Pune at least. I’ve eaten butter chicken everywhere from Shadi Buffets to UK Curry Houses, from Luxury five star hotels to Dhabas in Amritsar and Ludhiana. Believe me when I say very few people get that Delhi Butter Chicken right. My all time favourite go-to shop used to be in Mahim, Mumbai, right next to a mosque. He adds color in his gravy, but when you taste that butter chicken it is worth it! Tawa Street butter chicken was etched in my memory just like that. I had thought that I’ll eat just one bite to taste and be done. But no true blood, Butter Chicken lover can ever do that to really good butter chicken. I ate one bite and I couldn’t stop after that until I wiped the bowl clean. It was so yummy and not at all sweet. Just like Delhi-style butter chicken should be. Not too hot, not sweet, distinct, perfectly balanced cream and spices, lots of chicken tikka pieces, just right! Tawa Street is so far away from me, but when I feel like Butter Chicken, no other butter chicken in Pune will do. Go try it out today, they put a good quantity of chicken pieces in it and at Rs280, they serve good quality food and it is worth it. They also serve Shahi Paneer for vegetarians, which is made in a similar gravy base. I tried this in Jan 2017, if you try it after me, let me know if they are maintaining the quality and what you thought of that butter chicken. Cost of the Meal: Rs.3744 (on 11 Nov 2014) comprising of two dips with pita bread, an extra pita bread, 1 vegetarian soup, non-vegetarian appetiser, 3 main course dishes (2 were vegetarian) and 1 beer. Firstly, let’s talk about Mediterranean Cuisine. What flavours is this cuisine dominated by? Which part of the world is it from? Classic dishes from this cuisine and as such. Mediterranean Cuisine is the food that belongs to the countries surrounding the Mediterranean sea. Broadly it includes Greek Cuisine, Lebanese food and Egyptian food. Although the exact parameters of what exactly Mediterranean cuisine is, is somewhat vague, the world over it is understood as a healthy cuisine meant for entertaining. It has earned a reputation as healthy food because of the emphasis on fresh fruits and vegetables, in spite of also giving us lamb souvlaki and the original pizza! The Classic dishes include grilled meats, fish and poultry with plenty use of olive oil, greek yogurt based dips and other dips with pita, kebabs on a mezze platter and pizza, filo pastry and as such. The prominence of fresh vegetables & flavoured olive oil over creamy sauces and stretchy cheese, salads with feta and refreshing fruity salsas are perfect for a summer afternoon with a frozen margarita. A celebratory birthday evening in November though, not so much. Olive Bistro wasn’t perhaps the smartest choice for my mom’s birthday dinner. And “after a not-so-good dinner, one can punish anybody, even one’s own relations”, let me explain. I had been hearing a lot from my friends about Olive Bistro for a year or so. They mostly go to Olive Bistro for some drinks in the cosy outdoors with the lovely white, sculpted fountain lady in the center and cushioned chairs, a wooden bar with lamps hanging low above our heads, the whole place has a very homey & cosy decor. In the afternoon the living room-like indoor seating complete with cotton cushions in pastel shades would be a comfortable place to hangout. The menu is unlike other European or contemporary dining menus. This is a good thing because you are encouraged to try a few new dishes, and also a bad thing because the Oh-so-comforting accessible choices are few. Yet, from the same old four cheese pizzas, crispy chicken, grilled fish and steak burgers, this menu is a breath of fresh air. I just wish the waiter had been a little more responsive when we asked him what were the popular dishes and what we should go for. By the way, none of the dishes mentioned in the Zomato reccomendations are on the menu currently. When the waiter didn’t seem to guide us much, we decided to go for what people had recommended on Zomato. We ordered a soup, we were told similar to a Minestrone, a spicy feta dip, smoked salmon dip and pork chops. All safe choices, since we were new to this place. We were off to a good start, the soup with its robust tomato flavours and firm beans was pleasant & refreshing. Both, the spicy feta and the smoked salmon dips were yummy, they were thick, creamy and tasty. The second batch of pita bread that we ordered was neither warm, nor crispy or properly toasted for some reason. The pork chops were nicely cooked, sweet, succulent, though not melt-in-the-mouth succulent, but enjoyable. When I asked the waiter what he would recommend between the tortellini and the risotto he seemed confused. I don’t expect him to understand our taste and preferences but I’m sure he had an idea about what most people preferred! Anyway, I ordered both, the plum tomato risotto and the pumpkin tortellini, along with a red snapper with a spicy coulis. The tortellini was served to us, this is when all hell came crashing onto our table. Seriously, that tortellini solely managed to ruin my mother’s entire birthday dinner. Firstly, there was no ricotta to be found in the tortellini although it was mentioned in the description of the dish. Secondly, these massive pieces of tortellini were not only extra, thick and rubbery, they were only partly stuffed, an inch of the rubbery, thick fold hanging flimsily over. Sort of like our new Pups ear, joked my little sister (yes, I got a new pup, he is adorable). When I tasted the filling I wanted to hug the Chef for filling it improperly because that pumpkin puree without any other significant flavour was quite a disappointment on its own. I am an optimist, I had to be, after all I was the one who chose this restaurant. I thought that the basil-spinach sauce will make it better, I’m sure the sauce will help us enjoy the massive pumpkin “guijiya”. I was only fooling myself, the scent of basil was faint and light, the spinach bland and pasty, neither did I like the concept, combination nor the presentation. It was a disappointment when he brought it to the table, and even bigger disappointment when I had to stuff my face just to finish it (we are not allowed to waste food, I wish just this one time it was allowed). Moving on from the torture tortellini, the risotto with mascaporne and plum tomatoes was edible but not enjoyable. The risotto grains were all broken, they are meant to be firm and whole. Besides we were still recovering from the trauma of the tortellini, and we would have needed something seriously spectacular to passify our taste buds. The risotto was average in taste and so was the fish. In Mediterranean dishes vegetables should look bright and happy, crunchy vegetables would’ve made all the difference on the side of my fish . It seemed as though the cook had lost his passion, and the plate was plain, limp and tasteless. In the end, we were so disappointed with the main course that we refrained from ordering any dessert. We decided instead to go to a nice place, eat great dessert and feel better about the evening. All evening, and possibly all my life I will have to hear about how I brought my family to Olive Bistro on my mom’s birthday and ruined the evening by ordering that tortellini. We are a well traveled family with a global palate, and while every culture has its own specialties, we understand the definition of good, well-made and inspiring food, food made with passion, and this was not it. This was food bland in taste and in passion. It seemed as though the person cooking it did not like the food himself or herself. No matter how great the location or the ambience is, Rs 1000 per person approximately for a meal like this in a Tier II city isn’t justified, because it’s all about the food. I really hope that Olive Bistro will take my feedback seriously. We are a generation that knows food, googles food and talks about food. Word of mouth is everything, the waiters must know their menu and be able to guide the diners, the food must have a wow factor for it to work and Mediterranean flavours must be full of bright, happy looking fresh and flavourful vegetables. Olive Bistro has immense potential because the cuisine served taps a growing market of health food fans and over a half of the city’s population is vegetarian which a Mediterranean diet celebrates. Until then, on any trips to Olive Bistro kindly focus on the dips & appetisers with drinks. That thing about this place is its location inside Poona Club in the city center. 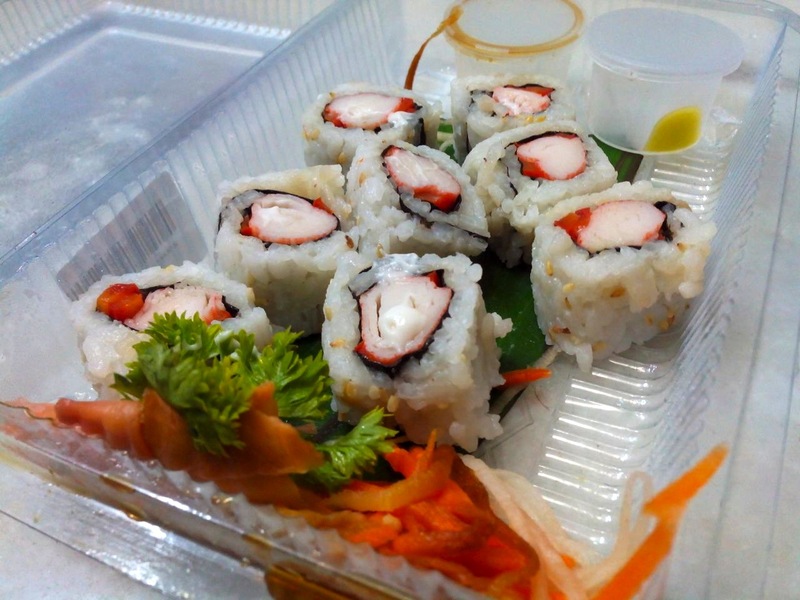 Finding Japanese Food in Pune: Why Japanese Food is Still Hard to Find in India? What we’re talking about? India is still two steps behind the Western nations when it comes to adopting Japanese food. We discuss why that is? How Chinese food took over the Indian market for Oriental food? Where to find affordable Japanese food in a 2nd Tier city like Pune? Unlike food from our Chinese neighbours that has been twisted and bent to fit our taste, Japanese food is still a new and rather alien cuisine in India. Most of us that have caught the Sushi-Umami fever going around the world are seeking out more restaurants that offer Japanese delicacies. It is interesting to see that many Oriental restaurants in the metros are now serving a few Japanese delicacies along with Chinese, Vietnamese and South East Asian food. Very often the variety is restricted to rice and noodle options as opposed to something as unique and specialized as Sushi and sashimi. Although both Chinese and Japanese cuisines offer rice and noodle preparations both have earned a rather different status in an urban Indian’s mind. Chinese food crossed borders and travelled to the Indian subcontinent several decades ago in the form of street food as a means for immigrants to make a living. While Japanese cuisine is trickling down from a niche market slowly into casual dining in metros and Gourmet stores.Will it make a mark in our hearts as Chinese food has over decades, only time will tell. Chinese food and specifically the mind numbingly spicy, Sichuan style of cooking, is what have mostly been loved and adopted by Indians as their own. Chinese food has earned a position as quick, cheap and spicy food. It has been a very user-friendly and relatable cuisine for Indians. In fact, many of us still interpret Chinese food as garlicky Manchurians and spicy Schezwan. We might call it Chinese, but Veg Manchurian is our claim to fame, no one eats that in China! Japanese food on the other hand, is much more subtle and has very unique flavours. It is love that grows on you. Sometimes it may take a little getting used before you start appreciating its simplicity. I think wasabi, made of horseradish may be the only loud and pungent ingredient in Japanese food. The flavour of seaweed, mirin, soy and miso paste may not be what we are used to, but it compliments the characteristic flavour of vegetables and meat without masking them. Japanese food is a very niche product, it uses expensive, imported ingredients and is not easy to prepare. 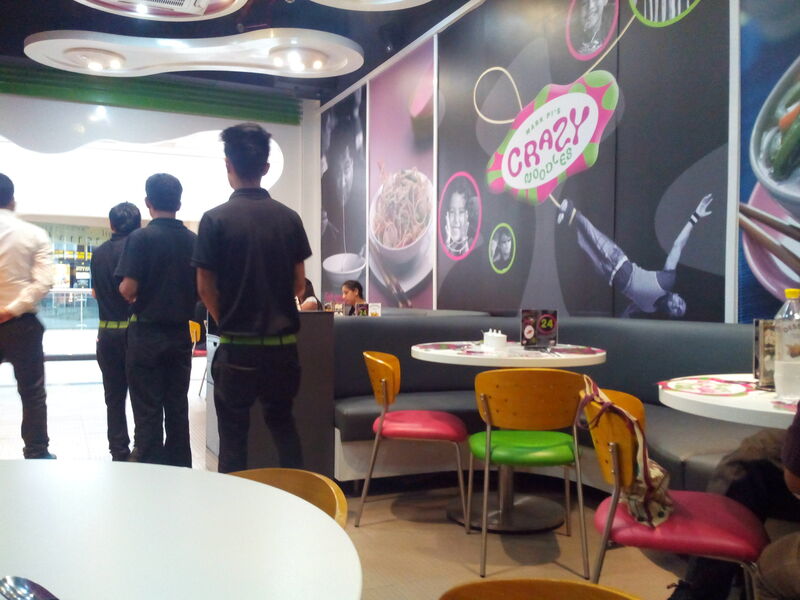 It is slowly becoming popular in the metros but unlike Thai it is not likely to compete with Chinese food in India. Having said that it is hard to come by good Sushi or Ramen anywhere in India. Mumbai, Delhi and Bangalore, following the foreign market, are slowly opening some casual dining places that serve Sushi, yet the dream of Yo! Sushi is still far fetched. In two tier cities like Pune, Japanese food is a fine dining product and it is fairly hard to come by a restaurant that serves Sushi, sashimi. In fact when I find Japanese food in Pune I feel that I have struck gold, and that is exactly how I felt this weekend when I went to Phoenix Market city, Pune. Not only did I find delicious and authentic Ramen but also a box of tasty Sushi at a very affordable price. I can’t stress enough on the affordable price part because those who offer this rare delicacy in Pune charge you a fortune for it. Even with the offers during lunch hour, a few pieces of Sushi in Harajuko pinch the pocket. Where To Find Japanese Food at Affordable Prices in Pune? I got the most drool-worthy bowl of steaming, authentic Ramen at Crazy Noodles in less than 250 Rupees as on date. I am a big eater and I don’t leave food in my plate, so I ate it all. But it is a huge portion so two people can easily share this bowl of Ramen. Better still, the veggies were crunchily fresh, chicken was juicy and supple, and the broth was B-E-A-utiful! A Box of Sushi at Foodhall, the Gourmet store in Phoenix, for less than Rupees 200 (as on date) if you’re vegetarian. I bought 8 pieces of crab Sushi for just Rupees 210 and the Spicy Salmon Sushi was a little over Rupees 400 for six pieces. This Sushi deal was a real steal! Foodhall, anyway is my Disneyland, I don’t think I will come out that shop until I empty my bank account. This Sushi deal though was a blessing. I mean this Suhsi box put 70% Sale signs to shame. 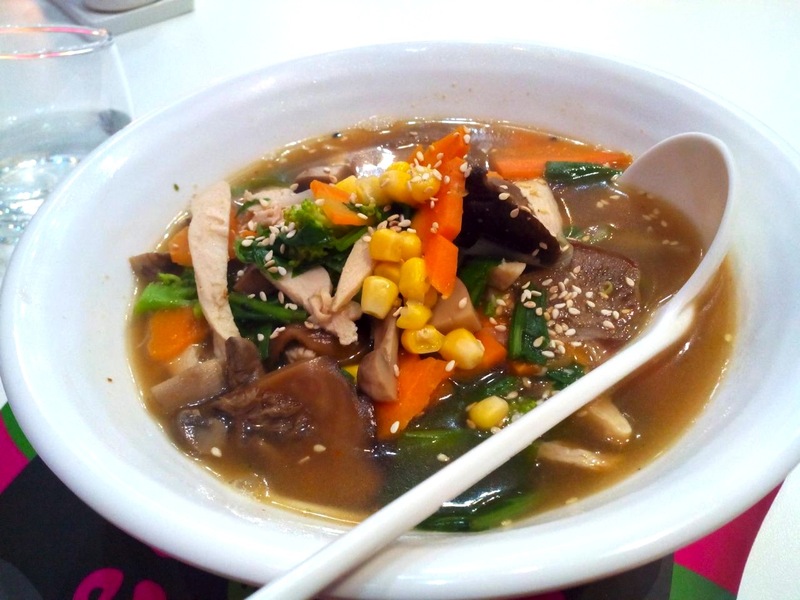 Peter Donuts in Aundh – This very Korean Place with good-looking Donuts offers Ramen. Earlier they also used to offer onigiri, but sadly they don’t anymore. Harajuko in the O Hotel – is a Japanese fine-dining restaurant. They Sushi, sashimi, Teppanyaki in the evening, Bento Box and the works. Everything Japanese at very up-market rates.